Mark your calendars. 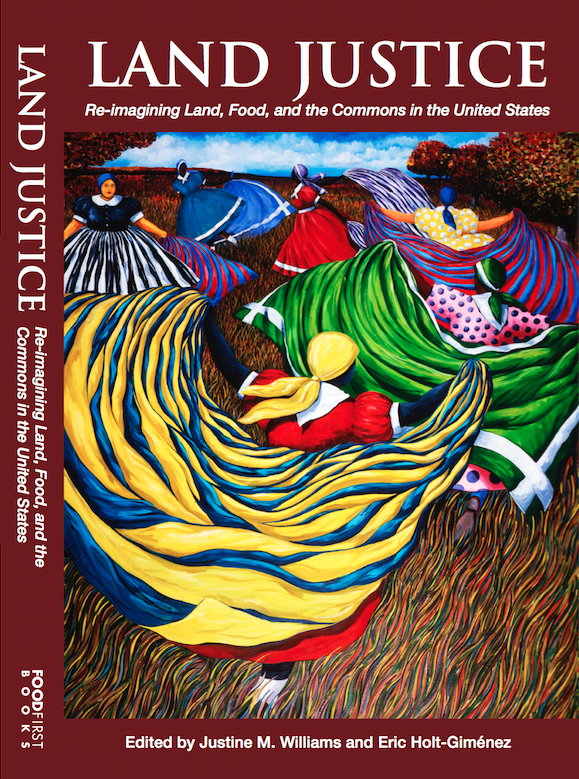 We’re gearing up for a season of book tour stops in celebration of Land Justice: Re-imagining Land, Food, and the Commons in the United States. After several inspiring preview and launch events, we’re officially on the road. From California to Michigan to Georgia to New York – we’ve got an exciting lineup planned where guests can buy the book, meet and learn from the authors, and build solidarity for a transformed future. The movement for fairer, healthier, and more autonomous food in the United States is continually blocked by one obstacle: land access. But around the country, people are building transformative solutions. Land Justice: Re-imagining Land, Food, and the Commons in the United States chapter authors from around the country — including farmers, organizers, activists, and more — make the case that to move toward a more equitable, just, sustainable, and sovereign agriculture system, the various strands of the food and agriculture movement must come together for land justice. We’re convening with farmers, organizers, and activists to share strategies, challenges, and hopes for a better food system and a better world. With numerous convenings, strategies from around the country, and inspiration from countless movement leaders, you won’t want to miss this season of Land Justice. For press inquiries, bookings, or interview requests, please contact Ahna Kruzic at akruzic (at) foodfirst.org or (510) 654-4400 ext 223.